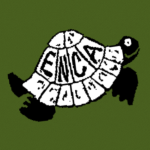 ENCA is a small, UK-based NGO which serves as a discussion, information and news network for many local grassroots and community organisations in Central America and for a small number of supporters and interested parties within the UK. Although it is small, relatively powerless and financially poor, it supports the campaigns of numerous Central American organisations in their promotion of small-scale development projects and in their struggles against the imposition of development projects which they do not wish to have. For this reason ENCA prefers to refer to itself as a socio-environmental organisation rather than an environmental one. Many of the projects and campaigns which it supports or has supported are detailed in the following chapters. In Chapter 6, for example, the campaigns of the Environmental Movement of Olancho (MAO by its Spanish initials) in favour of a prohibition on logging in certain areas of the department of Olancho and against the companies which participate in illegal logging are detailed and discussed. ENCA has supported the MAO in these campaigns in a number of ways. Over the 24 years of its existence, the thrice yearly ENCA Newsletter has consistently covered issues of food production, pesticide use and contamination, food security, access to water and sanitation, the problems of energy production and distribution, resource extraction, deforestation and many others. It has particularly focused its attention on small-scale and grassroots solutions to many of these problems. It has also found it essential to focus much attention on the violence against persons who have been defending their community and their environment against destruction by so-called development projects. As editor of the ENCA Newsletter, I have been constantly faced with decisions about whether to include news of the assassinations of Central American environmentalists and social activists. No issues of the newsletter have passed by without the need to make such a decision, and so many killings and death threats have had to go unremarked in our brief twelve page editions due to the weight of importance of issues such as those listed above. During the course of my editorship, it became clear to me that the violence directed at anybody who spoke out against the specific and general thrusts of neoliberal economic development model was related to these issues. It has become impossible for me to study the issues of environment and development in Central America without placing the assassinations, threats, evictions, dispossessions, other forms of violence and human rights abuses at the centre of the analysis. Equally, it has become impossible not to see the links between the violence, the perpetrators of the violence and those whose interests they represent – the oligarchies of each of the Central American countries, the transnational corporations (TNCs), the powerful western technocratic nations and the international financial institutions (IFIs). These are the organisations and people who hold the reins of power and who impose the top-down model of development on Central American populations, and it is they who bear the responsibility for the violence which is associated with this ‘development’. Articles in the ENCA Newsletter have been an important stimulus for the book. The range of issues covered by the newsletters is broad and rarely can its articles do more than scratch the surface of any given issue. This book and website are intended to delve deeper into the given issues which form the focus for each chapter.